This light is a 9″ tall open top half round wall sconce with a Pine center cut design, in a Rusted Steel multi-color finish. 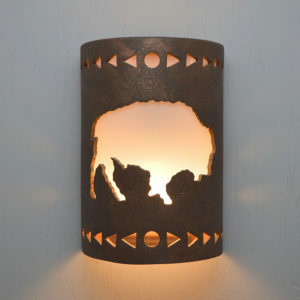 This light is a 9″ tall open top half round wall sconce with a Pine center cut design, in a Rusted Steel multi-color finish. 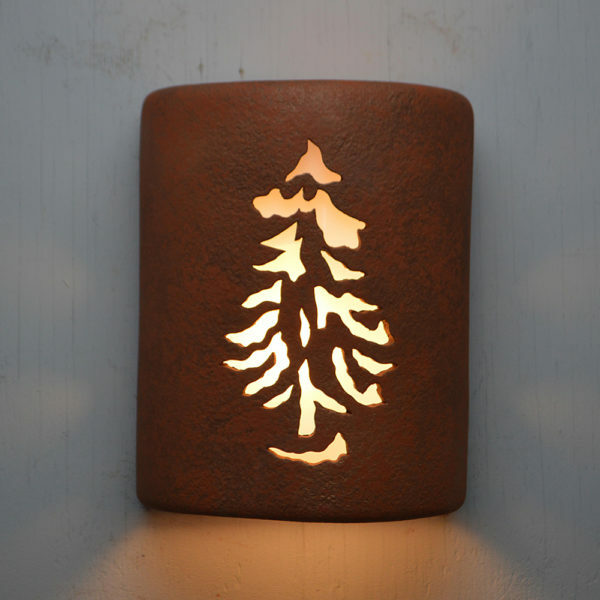 What a spectacular look this would add to a mountainous or vacation home. 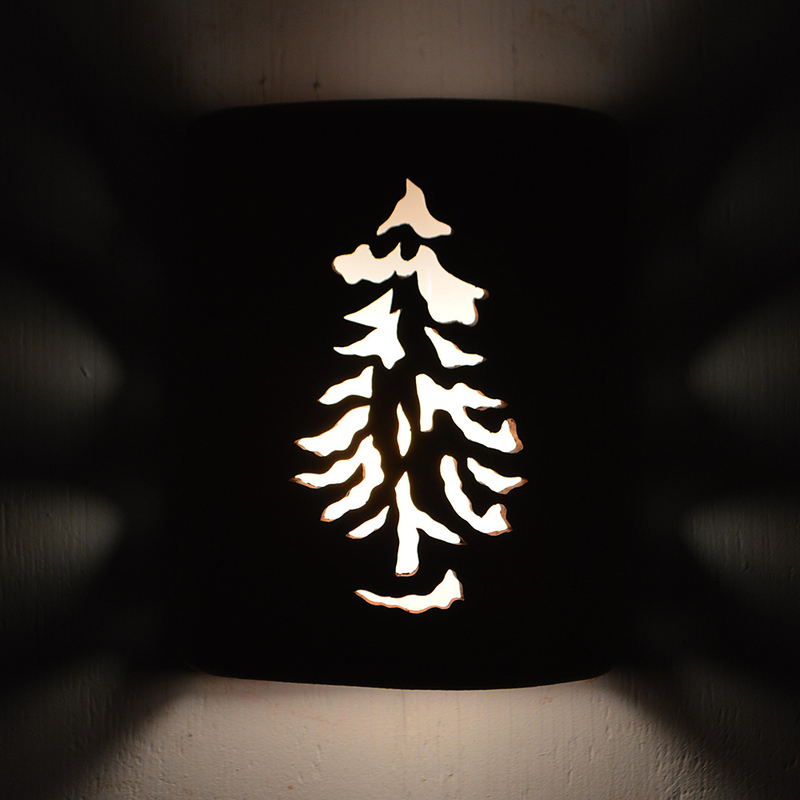 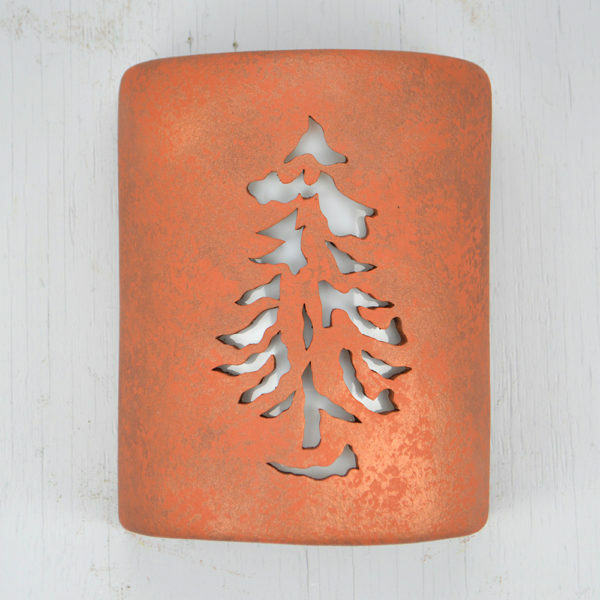 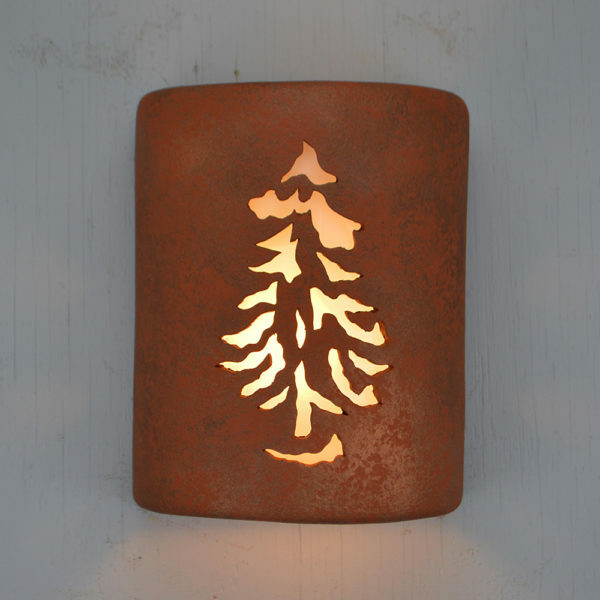 The Pine design gives the perfect addition to lighting a garage, porch or deck, in a rustic or wooded setting. 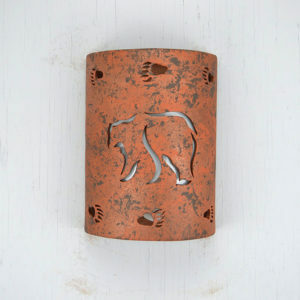 This design has even been used in a country style bathroom. 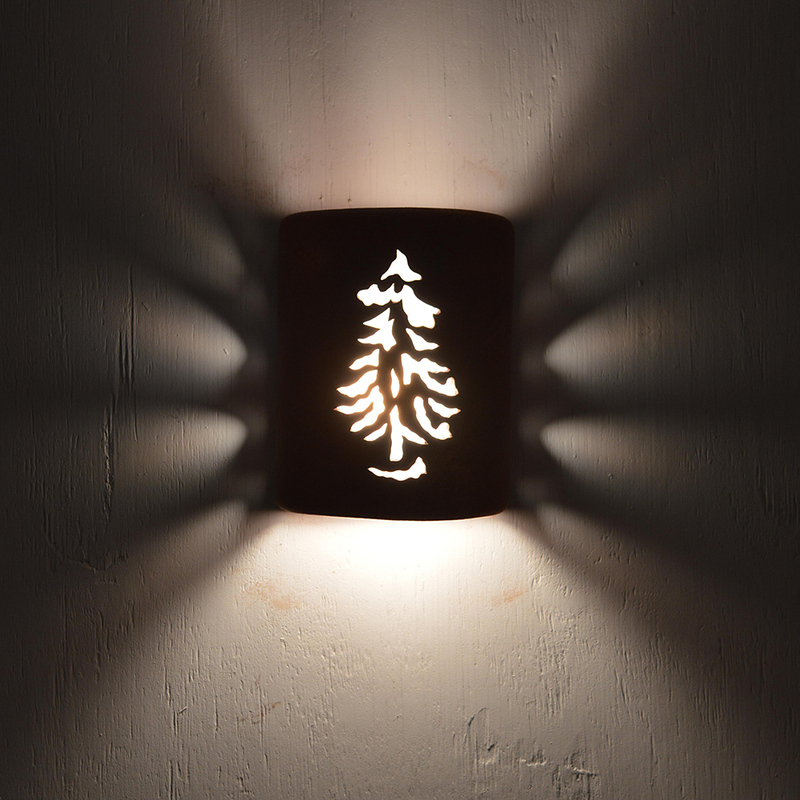 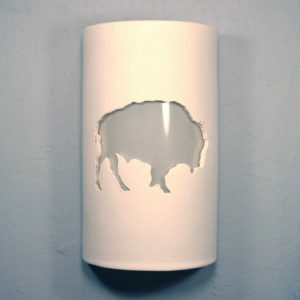 This sconce is wired for the indoor or outdoor.